It appears my fear of the Dodgers not participating in free agency this winter is slowly but surely becoming a reality. This evening the Dodgers announced the additions of several prospects to the 40-man roster to protect them from the upcoming rule 5 draft. Several players were designated for assignment in order to clear roster space and one was given his unconditional release. In doing so the Dodgers now have a full 40-man roster. Get ready for Austin Barnes starting catcher in 2019. I cringed as I wrote that. The Dodgers added right handed pitcher Yadier Alvarez, Infielder Matt Beaty, infielder Edwin Rios, catcher Keibert Ruiz and right handed pitcher Josh Sborz to the 40-man roster. In order to do so the Dodgers designated the following players for assignment, Erik Goeddel, Zac Rosscup, and infielder outfielder Tim Locastro. The Dodgers also gave Tom Koehler his unconditional release. Of the prospects listed above, none of them have seen major league action. 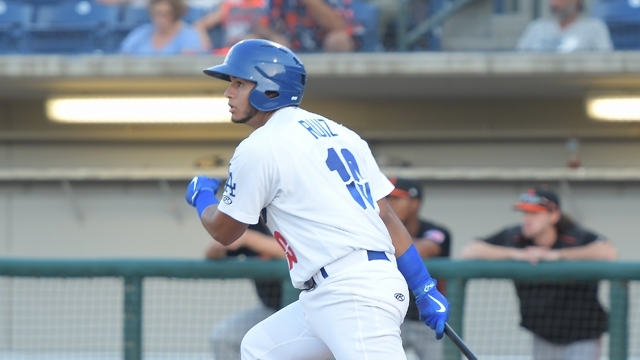 Rios is a power hitting corner infielder that saw time with the Oklahoma City Dodgers. Beaty is another corner infielder that spent time with OKC as well. Sborz and Alvarez are pitching prospects both in their early 20’s with high ceilings. Ruiz is the Dodger’s top catching prospect. It remains to be seen if any of these prospects will help the major league club. As far as the players designated for assignment, we wish them well, but they all sucked. Rosscup and Locastro were especially useless. Tom Koehler never made a single pitch for the Dodgers in 2018 and could be one of the worst offseason acquisitions of the Andrew Friedman era. Koehler indeed was a horrendous pick-up joining the likes of Brandon McCarthy, Brett Anderson and Alberto Callaspo. That concludes the Dodger’s offseason. The Dodgers are now finished this winter as their 2019 roster is now firmly set. Kevin Quackenbush becomes the Dodger’s lone free agent pitching acquisition this hot stove season. We’re living in the Andrew Friedman era folks. If this is the final roster, the Dodgers won’t win 60 games. That’s not necessarily true Pack. It’s very likely the Dodgers will win 90 games and lose in the World series again. Quackenbush was signed to a minor league deal, so in reality they have not added anyone to the team except these 5. You are right, with this roster, and the platoon system they have, they could win as many as last year, but unless they shore up the pen, and pick a good leadoff hitter and get a better hitting catcher, they are going to still have holes at 2nd and behind the plate. I was kidding on the 60 wins but they will not win 90. No F@$K way. Interesting that Ruiz was added to the 40. Somewhat unusual for this team. Happy to see Sborz, lots of good potential BP arms in the system and he is just one of them. Surprised to see LoCastro let go. My favorite comment I read about Rios is that his best position is “the batter’s box.” He’s another Willie Calhoun maybe. Ruiz was kept because he was signed when he was 16. And he is one of their top prospects and often asked for in trades. I have seen Rios play. Good bat, but his best position is 1st base. I really thought they would expose Alvarez since he really has not been that great. But with 16 million spent on him, that’s the only reason they have kept him. Beaty is a 3rd baseman-1st baseman too. Sborz I saw pitch when he was at Rancho. Kid has decent stuff, but not close to being the best arm in the organization. I think letting Locastro be exposed was a no brainer also. He is after all 27 years old and not what anyone would consider a top prospect. All the guys exposed are not necessarily gone. They are just being exposed to rule 5, and if they do not make the team that claims them, they can be offered back to the Dodgers. Koehler is the only one who is out of the organization at this time. Dodger Digest has a story that the Dodgers are talking with the Indians about Yan Gomes and 2 of their starting pitchers, Kluber and Carrasco. 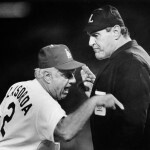 Dodgers first trade……Locastro to the Yankees for a minor league pitcher…..